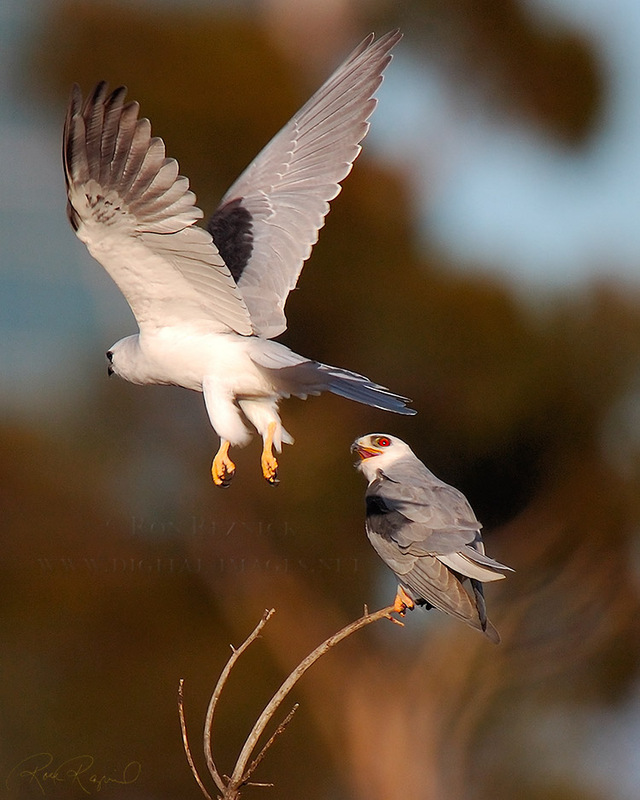 and are among the most exciting to encounter and difficult to shoot. and the images are nearly always taken with a long telephoto lens. 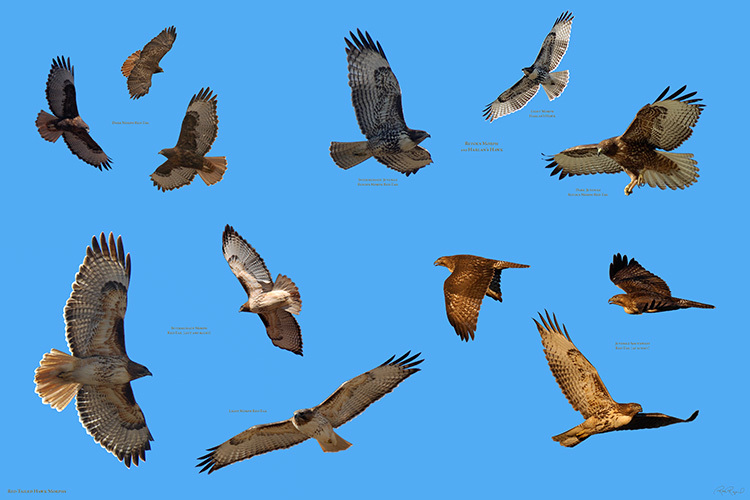 display composites which lead to each page in the Raptors Study. The Banner below leads to the Raptors Collection where a Gallery can be selected. Wyoming. It is separated into sections based on location, plus a compilation of portraits from each page. 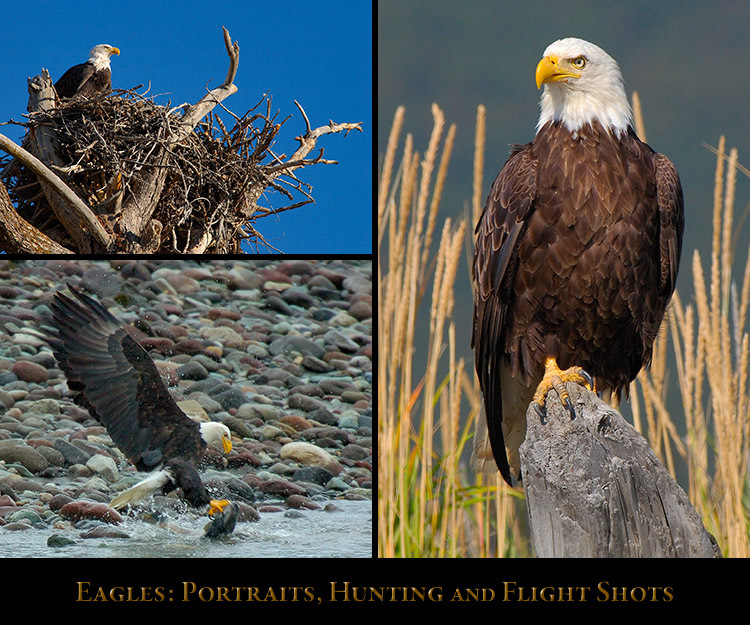 along with images of a Golden Eagle, African Fish Eagles and two large M-sized Bald Eagle portraits. 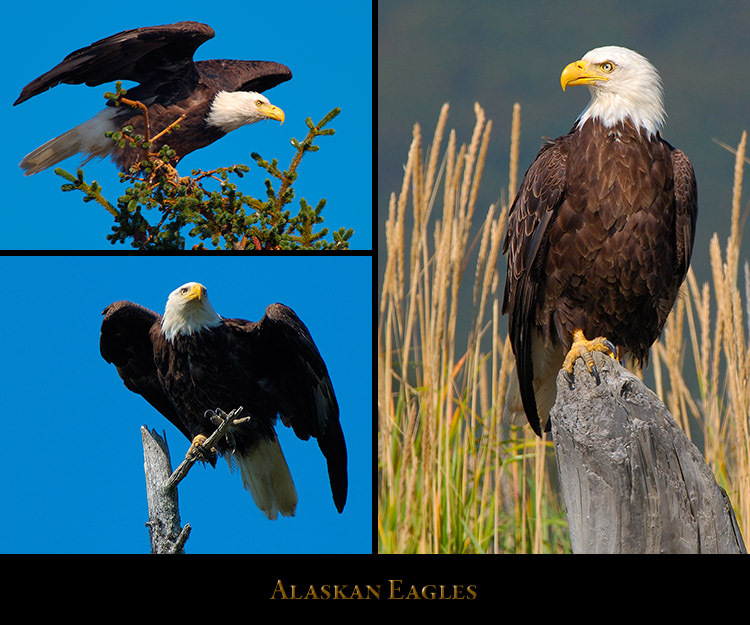 from Silver Salmon Creek on the Alaska Peninsula, near Cook Inlet in Lake Clark National Park. 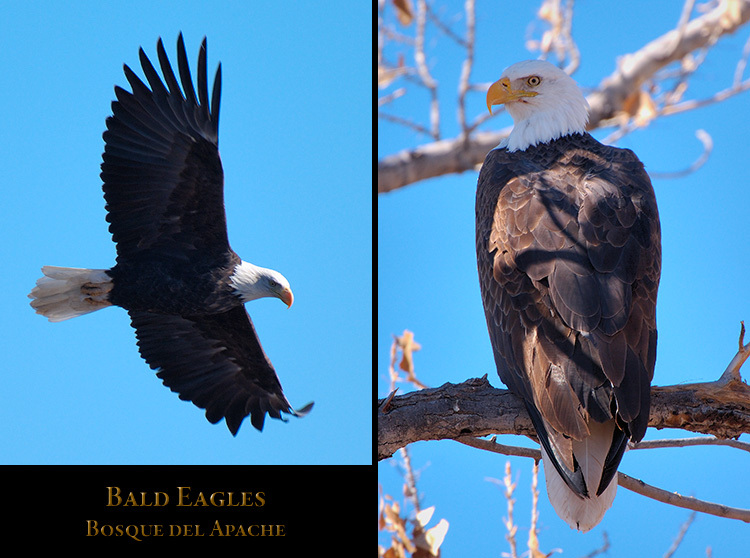 juvenile and adult Bald Eagles wintering at Bosque del Apache Wildlife Refuge in New Mexico. Bald Eagles on an enormous 2000 lb. 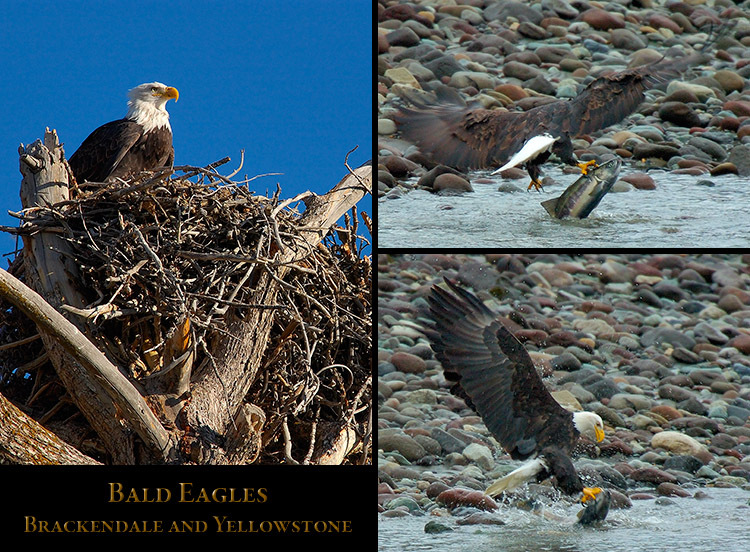 nest on the Madison River in Yellowstone National Park, Wyoming. 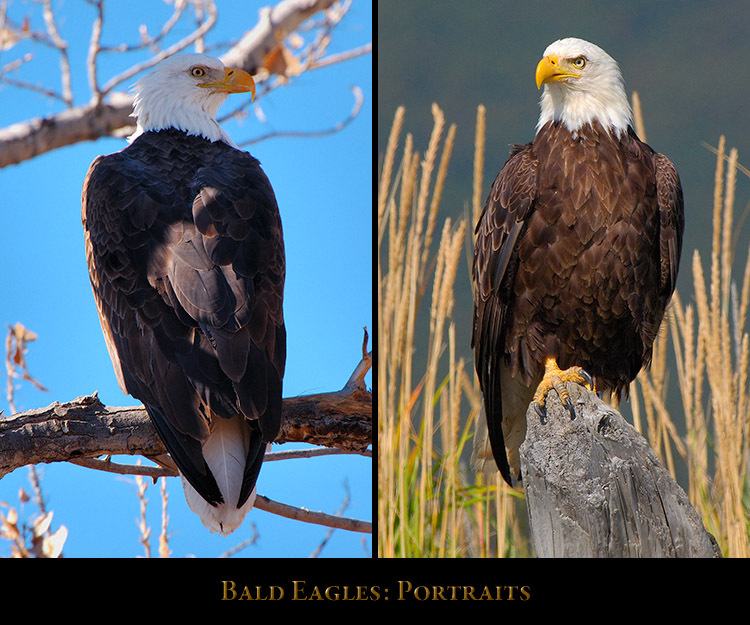 several portraits of an African Fish Eagle and a Steller’s Sea Eagle, the world’s heaviest raptor. into three pages: Red-Tailed Hawks in Flight; Red-Tailed Hawk Portraits and Assorted Hawks. 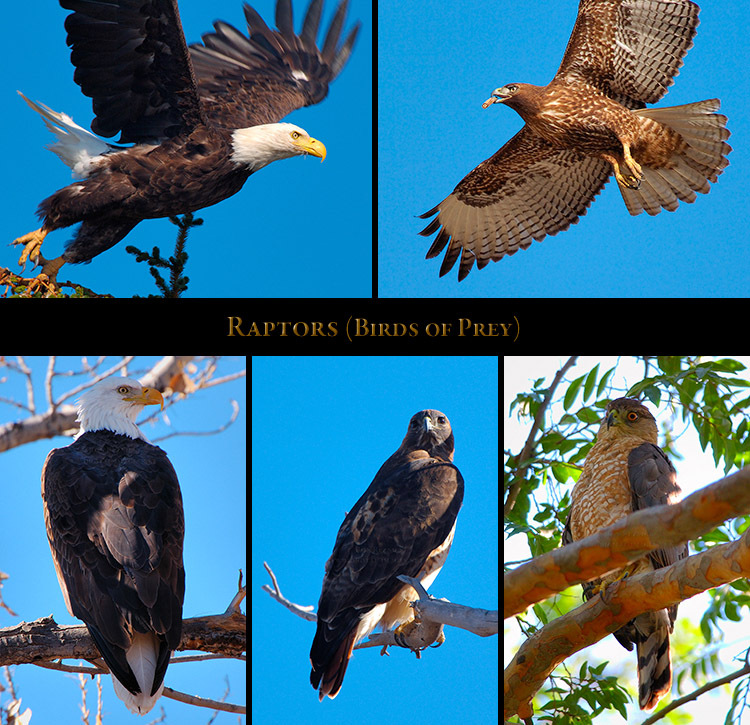 The Hawks Index has sample images from each page and display composites linked to the pages. 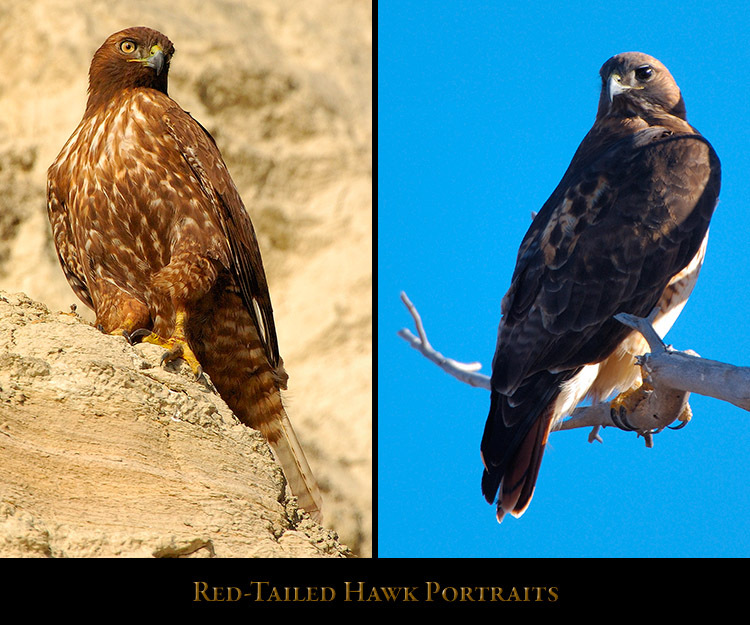 and Dark morph juvenile and adult Red-Tailed Hawks from several locations in the Western United States. 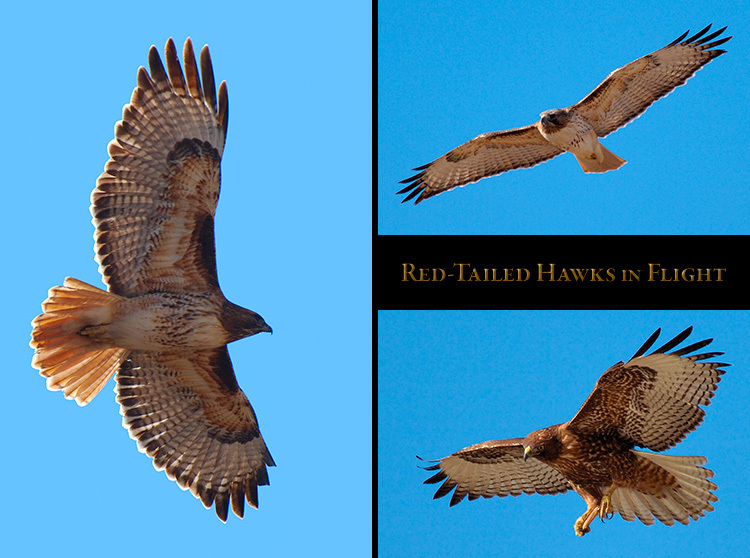 juvenile and adult Red-Tailed Hawks taken in several locations in the Western United States. 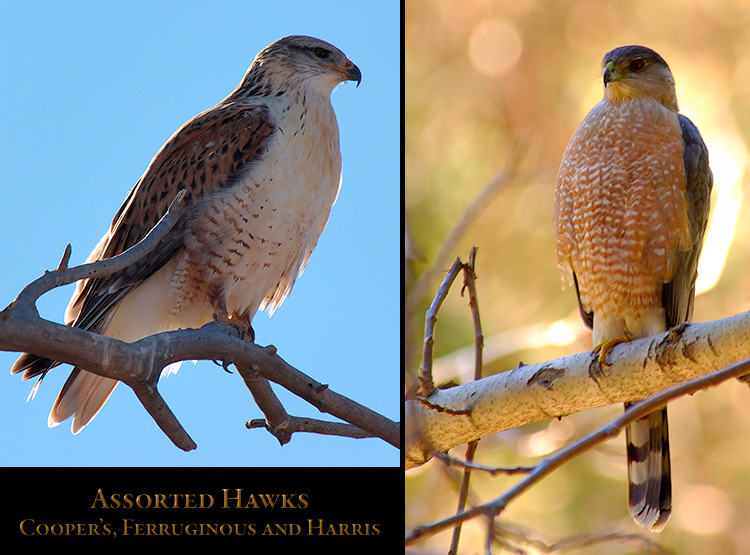 Light morph Ferruginous Hawks from Southern California and Bosque del Apache, NM. 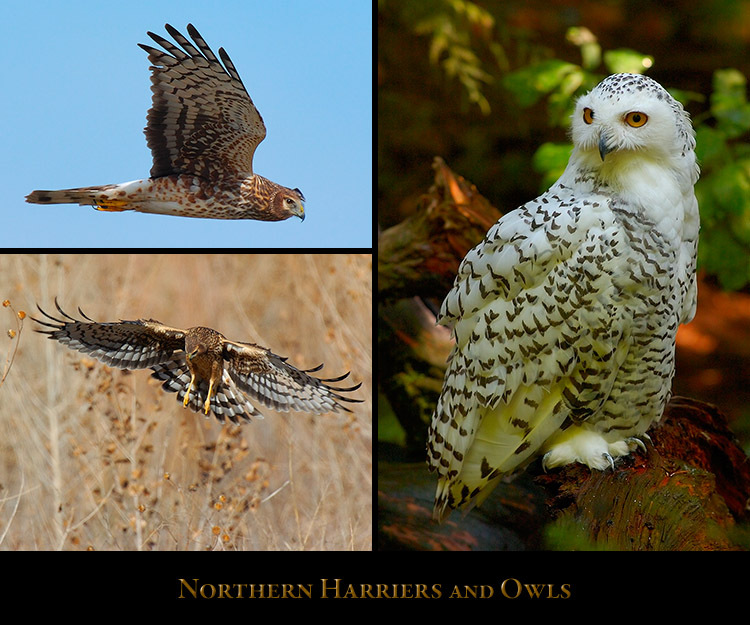 a pair of Barn Owls, and a Great Horned Owl, all taken near Mount Ranier in Washington State. 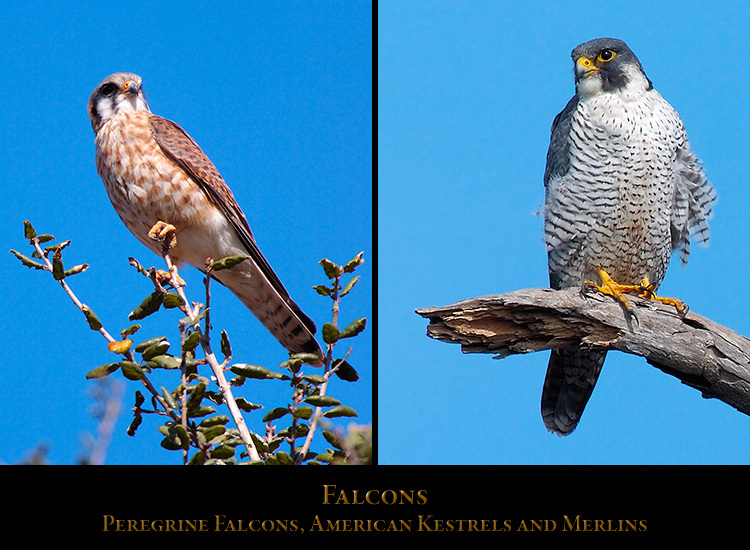 shots were taken in several locations in California, New Mexico and on Sanibel Island, Florida. 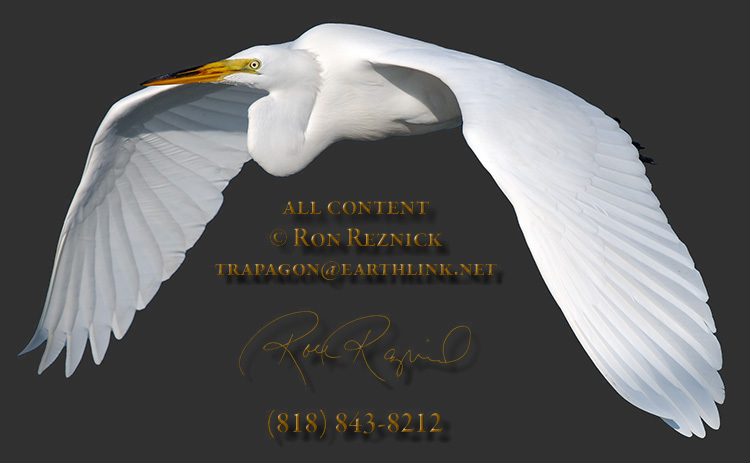 elegant raptor taken at Sepulveda Wildlife Refuge and Ballona Creek in Southern California. 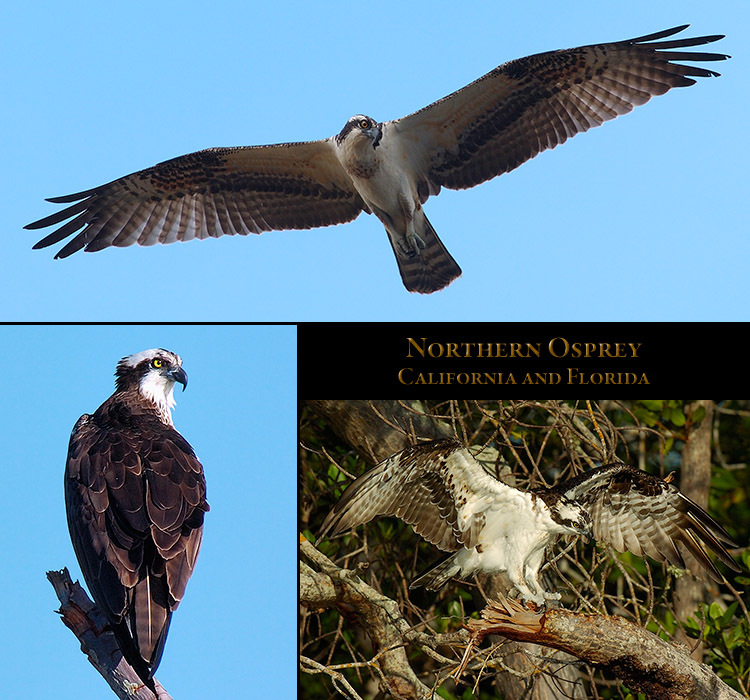 Refuge on Sanibel Island Florida, plus a few at Yellowstone National Park. A 1547 x 1200 version of the SXXL Composite (6511 x 5050). 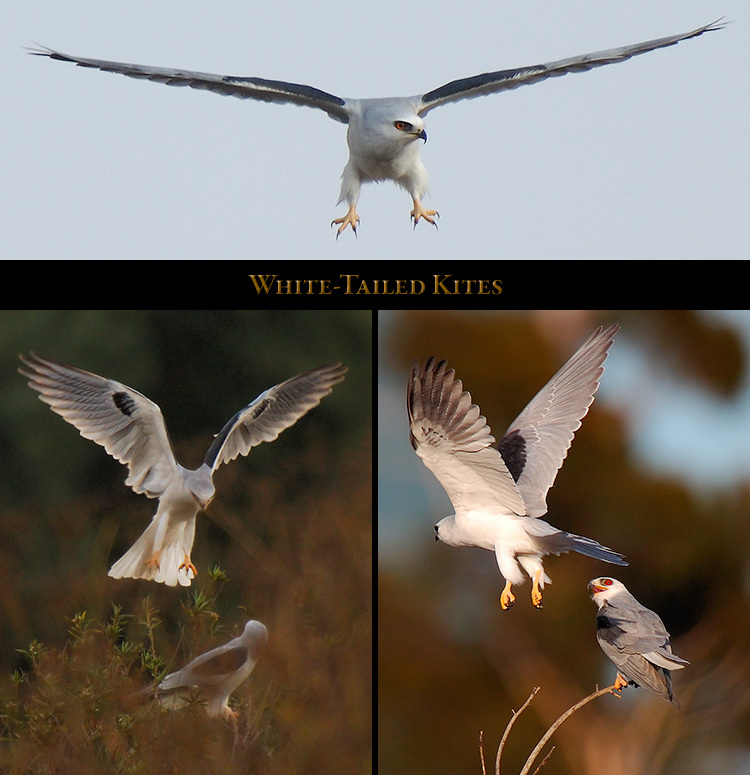 Light Morph Red-Tail Juvenile; Light Morph Ferruginous Hawk. 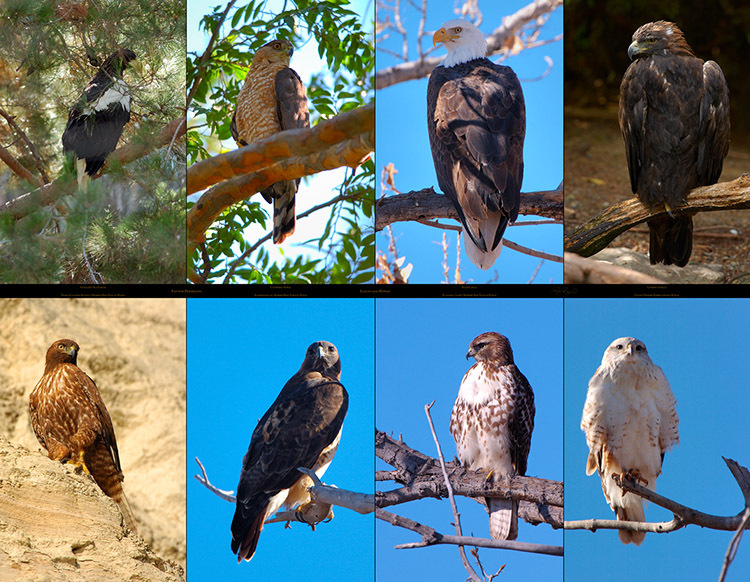 shows images of various Red-Tailed Hawk morphs with legends identifying the variations. 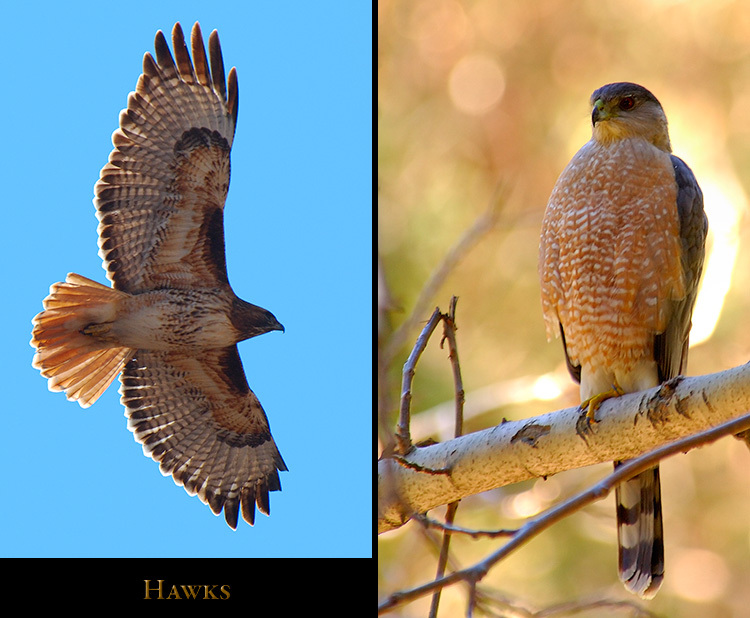 Red-Tailed Hawks have three variations (or morphs), the Light, Intermediate and Dark morphs. shoulder markings can be narrower. The Dark morph has a dark body and central wing.